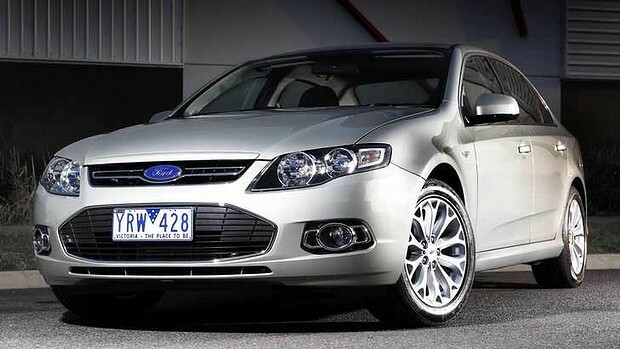 Ford Australia has recalled more than 3000 Falcon sedans and utes over a potential gas leak that could result in a fire. The recall affects 3256 FGII EcoLPi vehicles built between 2011 and 2012. A recall notice posted on the Australian Competition and Consumer Commission website says there is a possibility than an O-ring seal located between the fuel delivery module and the wiring connector insert of the LPG tank may be missing. The release goes on to say: “until the safety recall service is completed, owners are advised to avoid parking the vehicle in a confined space. Ford will write to owners of the affected vehicles. A Ford Australian spokesman said the repairing the problem was straightforward. “It is a relatively minor repair but customers will need to schedule the service with their dealer, so timing will depend on that,” he said. Ford Australia is not aware of any incidents related to the recall issue. Ford FGII Falcon sedan and utility vehicles fitted with EcoLPi (LPG fuelled) engine. O ring missing? More likely they left it off to save a few bucks. Well they are paying for it now.